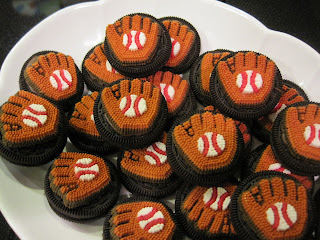 This is so cute and perfect for parties, favors, a special treat, anything fun. 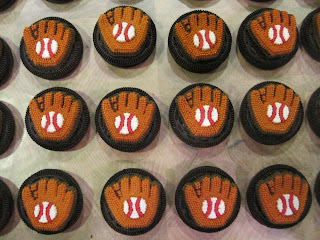 I just finished making them for a special treat for my son and his friend who we are taking to an Astros game tomorrow. 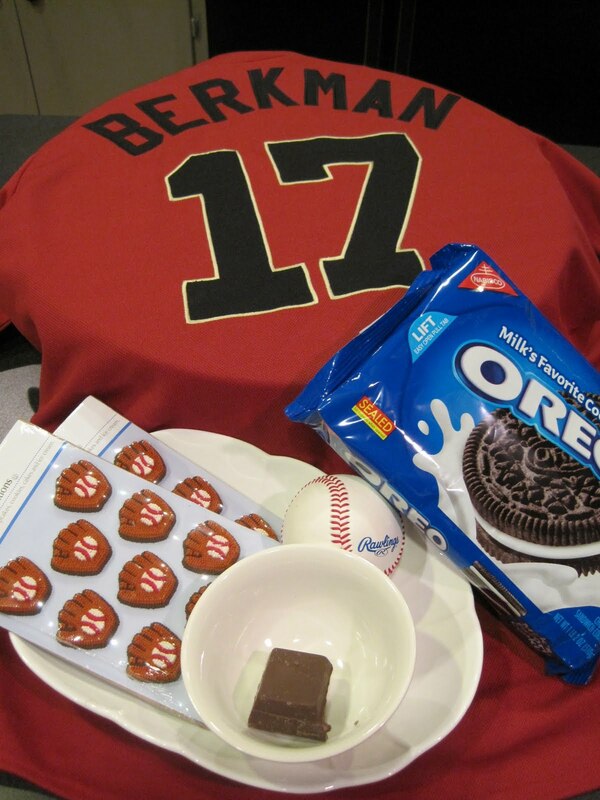 My son's favorite baseball player is Lance Berkman (then Carlos Lee and Hunter Pence), and he bet that I wouldn't wear a baseball jersey, so tomorrow I am also wearing the Berkman jersery to surprise him (the one in the picture). The Oreo cookies will take you about 10 minutes. You need a bag of Oreo's, one square of chocolate almond bark, and any Wilton Icing Decoration (hard sugar ones). 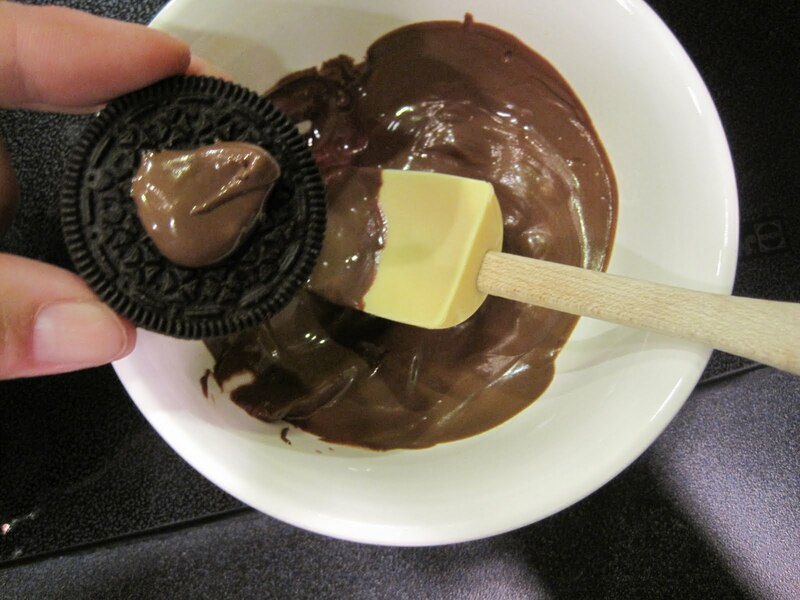 Melt the chocolate and put a small amount in the middle of the Oreo. The top with a Wilton Icing Decoration, in this case a baseball mit and baseball (special treat for tomorrow nights Astros game). All lined up drying, place in an air tight container to dry over night or before serving. Then place on a cute dish, basket, pretty cake plate whatever the occassion calls for. 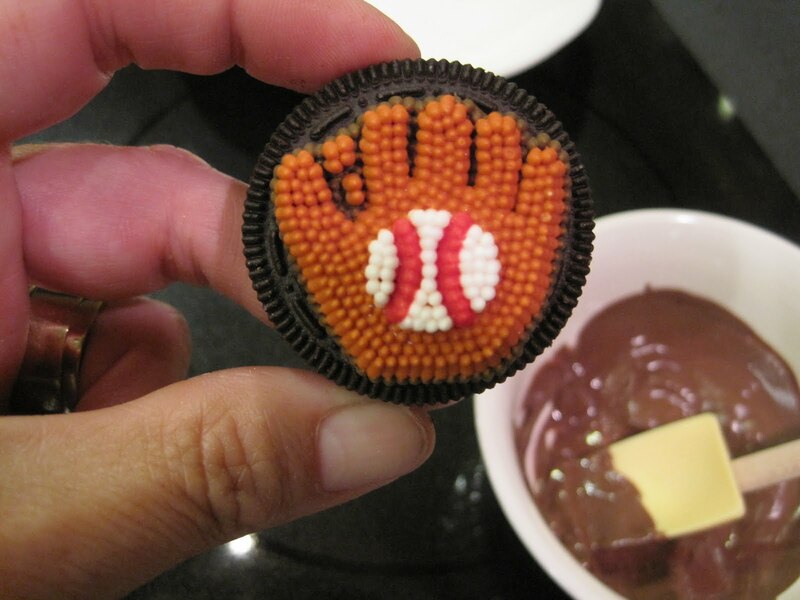 Just imagine Oreo's with all kinds of fun decorations on top. The possiblities are endless and who doesn't love an Oreo. This has got to be one of the cutest, creative ideas yet. I will be brainstorming over fun ideas for my Pre-K class this year. Heck, we could do themes for each holiday! How about covering the whole Oreo in chocolate and then placing the candied piece on top?! Yum! Keep the creative juices flowing, Tikaa!